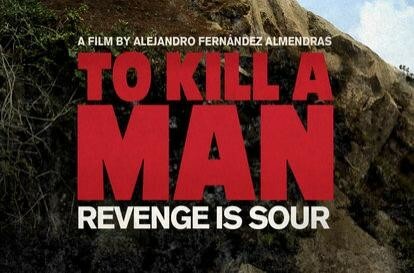 To Kill A Man - "Matar A Un Hombre"
Jorge is a tranquil, middle-class family man whose neighbourhood has become overrun by a fringe class of street thugs. His comparatively fortunate existence makes him to target of their intimidation one night, and a hulking outlaw robs him of his insulin needle. Jorge's teenage son boldly tries to stand up for his father, which only serves to unleash the bully's terrorizing regin of threats upon the family. Jorge and his wife, Martha, seek protection from the legal system but are subjected to civic drones and bureaucratic procedure, so they remain vulnerable. As Jorge's family suffer from fear and humiliating anguish, the situation paints him as a deficient patriarch - until he's cornered into defending what's his. This film has received the "Grand Jury Prize" at the Sundance Film Festival (2014) and the "KNF Award" at the Rotterdam International Film Festival (2014), among others.